Method for filling: •	Heat your frying pan over medium heat. Add some oil then add chopped onion and sauté until soft. •	Next add your mince to frying pan and stir for a minute. •	Finally add the sugar, soy sauce, pepper, corn flour, sesame oil and salt. •	Stir all ingredients well. Keep an eye on this; as it should not become dry. These buns are a lot tastier when the inside is juicy. Method for bun: •	Sift flour into a bowl. Add 6 tablespoons of hot water into the flour. Use a spatula to mix well and create some little flour crumbs. •	Next add 1 tablespoon of cold water at a time into the flour. Use hand to knead the dough until the surface is not sticky. Brush a bit of oil on the bottom of a bowl, put your dough inside the bowl and cover with a wet tea towel to rest for 30 minutes. •	Turn the dough onto a lightly floured surface and knead a few times until smooth. 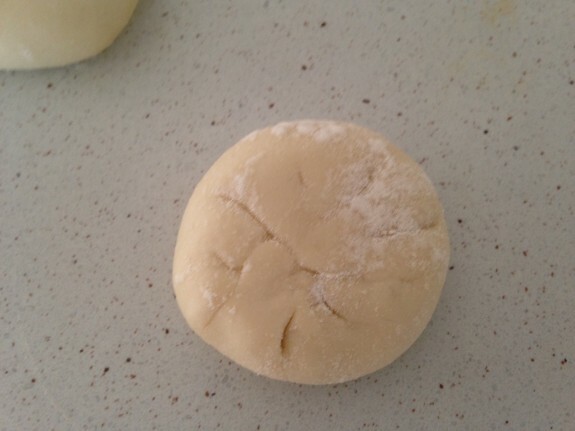 •	Roll the dough out, have it about one inch in thickness. •	Use cookie cutter or teacup to cut the dough into equal circles. 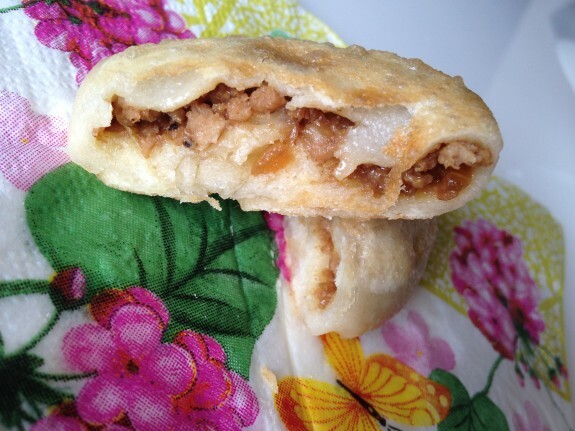 •	Take one to two teaspoons of filling and place inside the cut dough. Close the opening and form in a bun shape. •	Heat your non-stick frying pan or pot (I prefer to use pot as it seems safer) over medium heat. Add 2 tablespoons of oil. 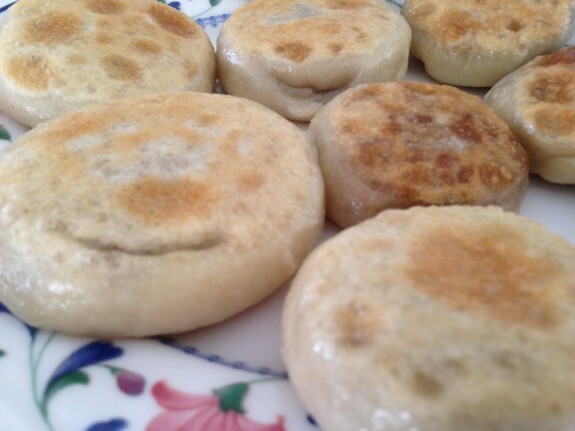 Place the buns in a single layer ensuring they are spaced out. 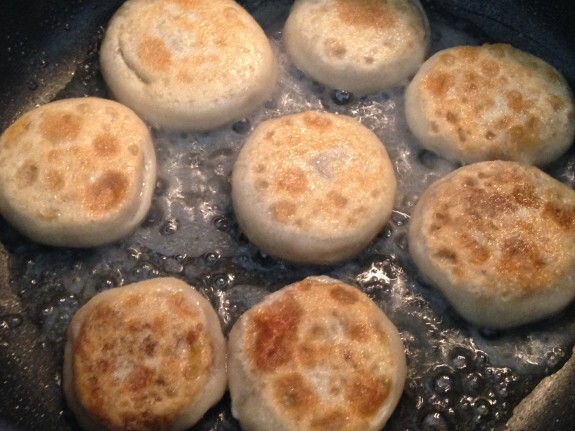 Fry them until both sides are light brown. Add 1/3 cup of boiling water, cover with a lid and cook until the water dries up.